4-minute promo in promotion of the full-length documentary for Public Broadcasting, now in production. Consider becoming an Entry Level Sponsor and have your name (or Business Name) listed in the credits and potentially aired on National PBS. 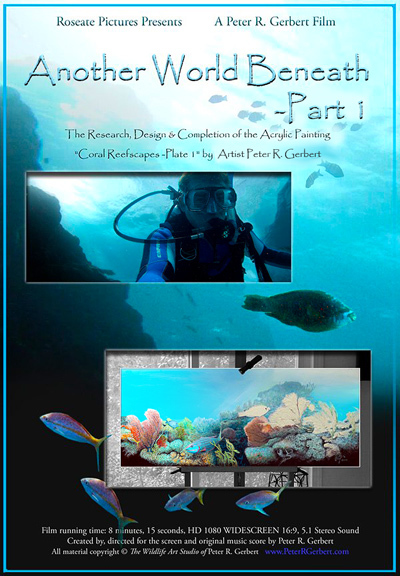 Make sure your speakers are cranked up, and dive into the complete creation process of the acrylic painting "Coral Reefscapes -Plate 1" in the new short film "Another World Beneath -Part 1"
Please select 1080p HD, FULL SCREEN (if you have a fast enough processor) and crank your speakers up! Continuously caught on HD video are my unforgettable adventures into Florida's pristine wilderness areas. An educational film idea is coming together, regarding a story that will increase awareness for protecting Florida's most delicate ecosystems, and how many of these areas become my paintings. Note: "The Creative Process" is not intended to be a training film, it is not narrated to be instructional. 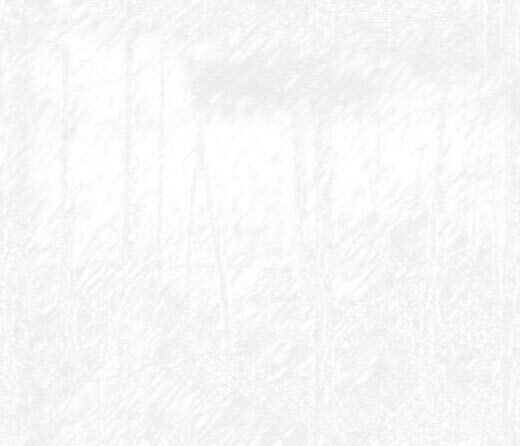 It is an art film set to the artist's own original music score. SOLD OUT DVD's were available with the best quality version of the film and an interactive menu: a combined offer with the "One Took to the Sky, One Took to the Water" Fine Art Print which has officially sold out. 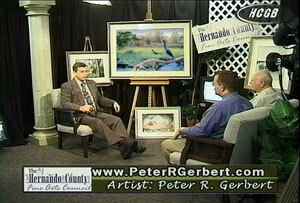 Featuring Wildlife Artist, Peter R. Gerbert. Original recording date April 28th, 2005. Used with permission. "Hernando Culture" Windows Media Video 39.9 MB Intended for download and playback. Stereo sound. 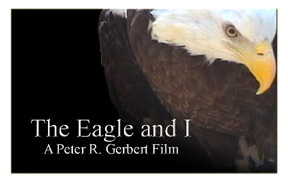 A short video clip that captures the artist's first experience handling a glove-trained American Bald Eagle. Special thanks to Betsy Knight of the Big Bend Wildlife Sanctuary. "The Eagle and I" Windows Media Video 15.4 MB Intended for download and playback. Stereo sound.